The late-night snack to rival poutine is likely on its way to you now. It's about as Nova Scotian as you can get; the Halifax donair is right up there with a lobster dinner in terms of traditional East Coast foods. So Nova Scotian, in fact, that Halifax voted to make the Halifax donair its official food in 2015. Whereas everyone's heard of a lobster dinner or fish and chips, this is one Nova Scotian delicacy that is a little less known. 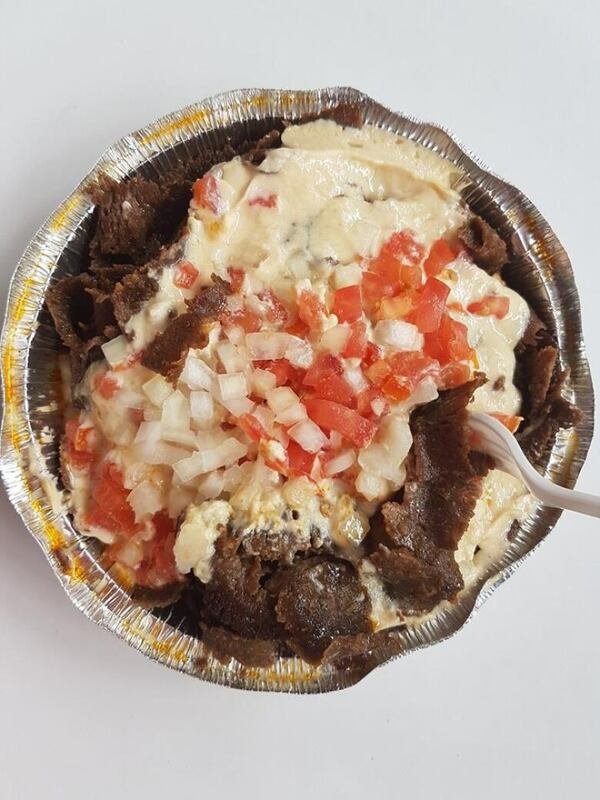 Try to explain the Halifax donair to someone who's never had one, and the description of shawarma-style beef on a pita, loaded with a sweet sauce made of vinegar and sweetened condensed milk will generally get you a look of confusion and even disgust. But it's popular for a reason and is becoming more and more so. The Halifax donair has been a thing since the 70s. Legend has it, we can thank Peter Gamoulakos for this beautiful food. He migrated to Canada from Greece in 1959 and when he was unable to sell the traditional doner kebab to Bluenosers, he made a few changes, invented a game-changing sweet sauce known as "donair sauce" and the rest is basically history – his delicious creation has been feeding Nova Scotians for decades. There are countless popular late night, post-pub foods across this great nation of ours — poutine, late-night pizza and Chinese takeout to name a few. Ask any Nova Scotian and they'll tell you their go-to is the donair. With shaved seasoned beef roasted on a spit, topped with diced tomatoes and onion, greasy, sweet and savoury, it's not hard to see why. Plus, this delicacy is available at almost any pizza joint in Nova Scotia. Out east, you don't get garlic sauce with your pizza, you get donair sauce. Can't decide between pizza or donairs at your fave pizza place? Opt for donair pizza. Want the donair meat, but not feeling the pita? A donair burger will serve you well. For the longest time, donairs were unheard of outside of Nova Scotia. I have a fond memory of my dad actually FedEx-ing donairs they grew up on to my aunt in Guelph. Luckily, they're becoming easier to find across this delicious country. It turns out they may not be commonplace throughout the entire country, but they are definitely popular in Alberta. Nicholas Nahas, VP of King of Donair, one of Halifax's original donair spots, took their signature dish to Calgary for a pop-up. Nahas told me that they released the location before they left Halifax, and by the time they landed in Calgary, they had people waiting in line for their coveted snack. Not only were people hungry for donairs, but they were willing to pay – and very generously. The donairs were sold by donation only, with all proceeds to the Alberta Children's Hospital. They ended up running out of donair meat after cooking for 12 hours, and raised just under $5000. It seems the craze had spread westward, but I wondered, were they all East Coasters just craving a taste of home? At least 50% of their customers were eager Nova Scotians, meaning that Albertans have become a fan of the donair in their own right. Nahas explained that the cuisine will always have a Nova Scotian association to it, but has the ability to become its own popular food out West, too. He explained this using a very Canadian analogy: "I would liken donairs in Alberta (and) Nova Scotia to Americans (and) Canadians and hockey. Hockey was born in Canada and most of the best hockey players are Canadian yet the US has a much larger population, therefore they have more potential to exploit the sport.[...] 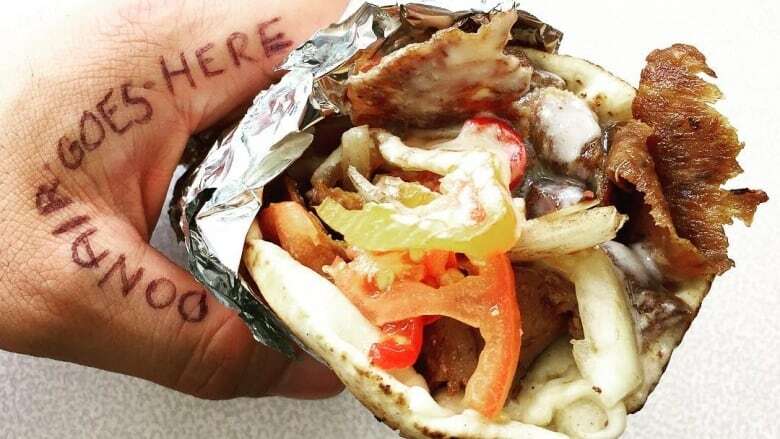 The best donairs come from Halifax yet Alberta has a much larger population." Makes sense. King of Donair will be opening its first franchise in Alberta later this year. Looking to satisfy a craving but live in Ontario? With many Maritimers living all over the country, there's a number of Halifax donair places popping up in the central provinces now. Often, they're owned by Nova Scotians trying to serve up a bit of home to other ex-pats, which is the case with the Ontario restaurant, Halifax Original Donair. BFFs Troy Power and Jim Tsouros,both originally from Nova Scotia, wanted to take the food to a place that it hadn't really caught on yet. They settled in Milton with their families, and nine years later they have a second location in Burlington. In the beginning, they catered mostly to Nova Scotians and other maritimers, but now are finding a balance of both maritimers and locals. They told me Ontario locals are hearing about the donair and curious about the "sweet sauce" so they come in to try it out. Not in any of those places? No worries – you may be able to satisfy your craving at a local pizza shop across the country within months. Thankfully, this late-night snack is no longer a delicious Haligonian hidden treasure. Expect your first taste soon.